Miss Darlington and I have been acquainted for some time now, and while we've never met, she is one of my favorite bloggers and a lady after my own heart. Her love of office supplies (in a rainbow of colors) is unmatched - as is the cuteness of her Boston Terrier, Iggy Stardust. 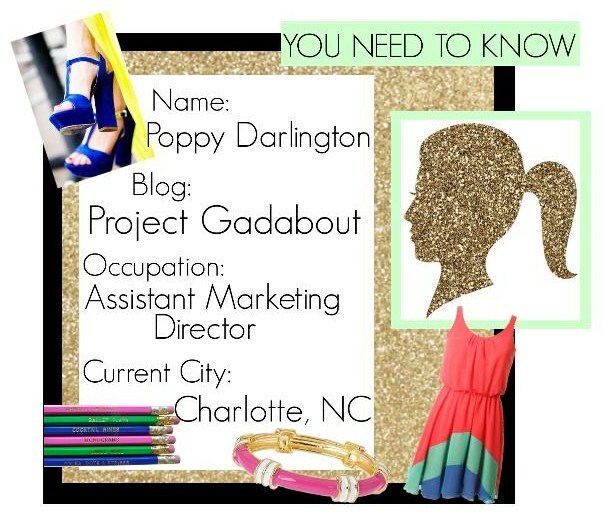 Last year, Poppy featured me as her first Glamorous Gadabout, so when I decided to start the You Need to Know series, it was only natural that she was at the top of my list. I'm certain after meeting her here, you'll adore her just as much as I do! Enjoy her mini interview below! Office Supplies. I can not get enough of office supplies. I may not be the best dressed at the office, but I have the cutest workspace and all the best supplies on my desk. 3. I wish I could raid ______________'s closet. I think I would raid Brighton Keller's closet. Brighton and her mom have started an amazing shoe and handbag line, and I want at least one of everything. Plus she has great accessories, and I'm always on the hunt for the perfect addition to my jewelry box! 4. _____________________ would play me in a movie. This is a tough one. I honestly don't know who would play me in a movie. Wait I do know, I'm thinking that Casey Wilson from Happy Endings would play me. We don't look anything alike, but I think she has the right energy, if she can do Penny on Happy Endings she can do me. Your blog will always be a work in progress and that's okay! It works as life advice as well. She seems like a lot of fun! Thanks for introducing us to her, Julie! Poppy is so awesome! I write the "Dial M For Music" feature on her blog and she's a total joy to work with! Great feature! 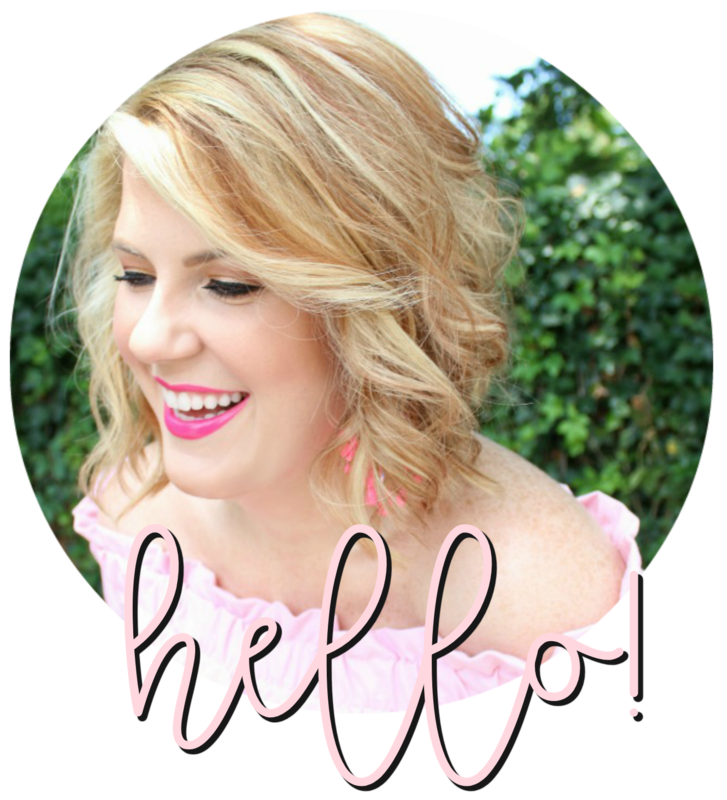 I love Project Gadabout--it's fun to get to know the lady behind the blog! Cute new column! I love the blogging advice idea!